Hello. I'm about to blow up your News Feed. A friendly PSA for the friends of new parents! 1. Select your size and bodysuit color from the drop-down menus. 2. Enter the color you'd like for your design in the "notes to seller" box at checkout. 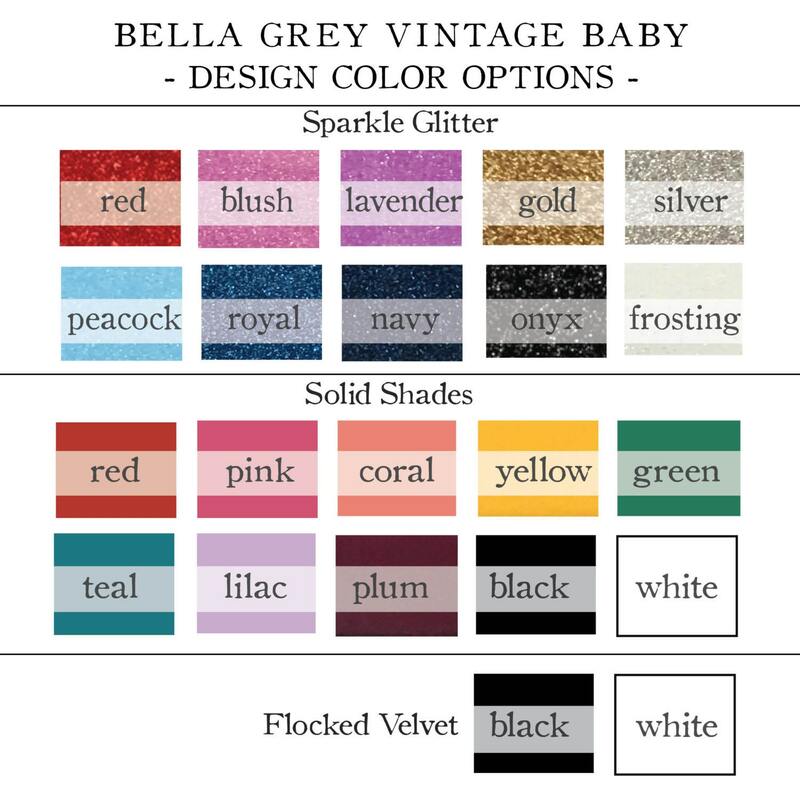 Choose from soft flocked velvet, smooth solid shades, or glitter. *If no color is chosen, bodysuit will be designed with solid white text on rose and blueberry bodysuits and with solid black text on natural and heather grey bodysuits. Super soft and cute! 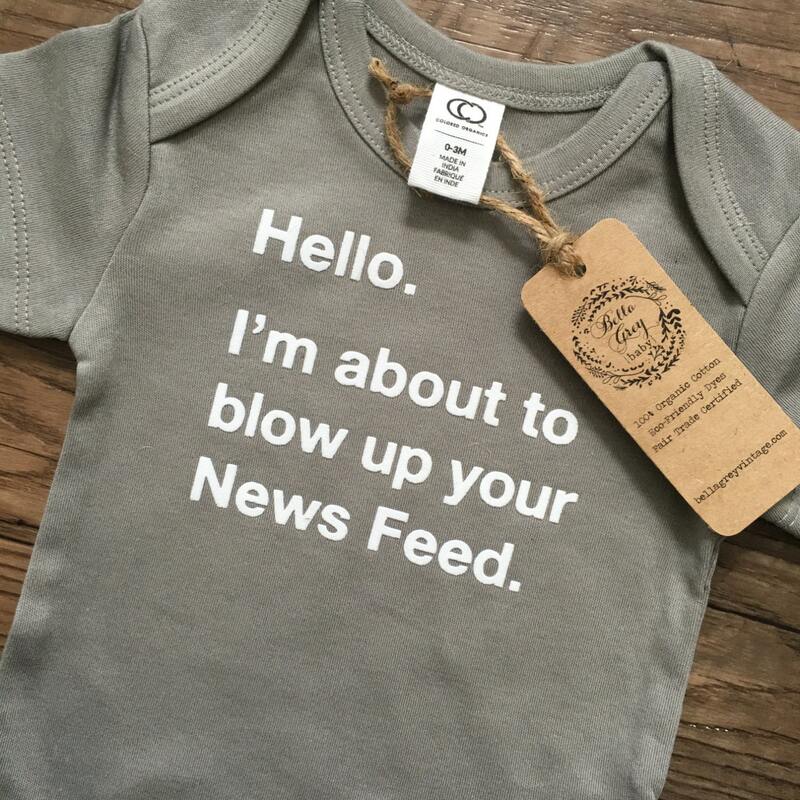 My social media crazed mom-to-be loves it! When I opened the box, I was surprised to find this onesie inside in its own little box! It was unexpected, but a nice touch! Packaging is so cute! Love it! Can't wait to add this to a baby basket I'm giving to my best friend! Thank you Bella Grey Vintage!